Thank you for your interest… in the Young Women’s Empowerment Foundation (YWE). We are excited about our future plans and the opportunity to work with our local school districts and other community organizations in strengthening and supporting positive futures in the lives of young women. Our goal for 2015 is to secure funding sources as well as continuing to research and complete our program curriculum. We believe that our curriculum will be a complimentary resource to both public and private school’s current counseling and outreach programs. Our goal is to serve approximately 150 to 200 young women each year during the first phase of our program, beginning in their freshman year of high-school through their first year after graduation. Because we are currently researching and developing our curriculum, we look forward to partnering with other organizations that serve the female population, ages 12-21, in a number of capacities in order to help us to create a comprehensive curriculum and mentoring program that will effectively change the lives of the large number of at risk young women in our schools and communities. 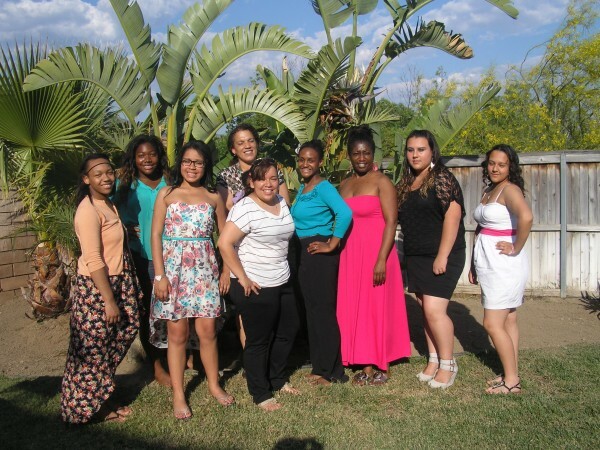 YWE serves to strengthen the character of young women of high school age in the San Bernardino City region of the Inland Empire in Southern California. The mission of our program is to empower these young women to achieve at their highest potential, particularly in education, and to instill in them a commitment to return to their community as leaders and mentors. The San Bernardino City region of the Inland Empire experiences a high rate of behavioral risk factors and adverse outcomes for its young women. According to the California Department of Education, the city has more than double the high school dropout rate as the state. The California Public Health Institute 2006 Update reported District 31, Grouped Annual Teen Birth Rates in California by County, 2003-2005 states that San Bernardino has 45.8 teenage pregnancy rate which encompasses the city and surrounding suburbs, having a lower decline in teen births than the state. According to the San Bernardino County Community Indicators Report 2014 the City of San Bernardino has 78%, proportion of high school graduates the second lowest among regions compared and falls below state and national averages (82% and 86%, respectively). This indicator presents the results of the California Academic Performance Index (API), which summarizes progress toward achievement of academic improvement targets for K-12 public schools and districts, and the California Standards Test in English-Language Arts (ELA) and mathematics, which reports the proportion of students testing proficient or better. How is San Bernardino County Doing? Similar to trends seen statewide, API results slipped in 2013: • 43% of San Bernardino County public schools showed API improvement, compared to 64% in 2012. • 59% of San Bernardino County schools met or exceeded their API growth targets, compared to 71% in 2012. • And the proportion of schools that had an API at or above the state target of 800 slipped in 2013, falling to 39% of schools, compared to 43% in 2012. However, this proportion is above the 38% of schools with scores over 800 in 2011 and 36% in 2010.2 • Overall, the number of school districts achieving the statewide target API score fell slightly, with 10 out of 33 districts achieving scores of 800 or better, down from 12 in 2012. Falling nearly 20 percent below the national high school graduation rate. The report found double the percent of families living below the poverty line as the national percent, and the median household income 24% lower than at the national level. Several other local factors contribute to the poor outcomes of young women including low adverse family, homelessness and community dynamics, depressed communities, insufficient resources, and a lack of target-specific programs for young women. The goal now is to implement this program in middle and high schools throughout the San Bernardino County.